Stop waiting. If you can afford it, it's time to get a new-gen console, and the Xbox One is a worthwhile one to get. It's been a year since the console's launch, and Microsoft's third home console finds itself in an interesting spot. On the one hand, many of its initial promises—to unite the devices beneath our televisions and reimagine how we consume home entertainment—remain unfulfilled. On the other, the Xbox One now has a broad library of terrific games that offer hours and hours of good times to just about any sort of gamer. You do have a choice between two consoles of similar cost and horsepower—the Xbox One and the PS4. (The consoles are similar enough that in this article, I'm going to be striving to achieve parity with Stephen's earlier, similar update about the PS4.) We'll address that choice in a separate post later this week, but if for some reason you've been wondering specifically about upgrading to an Xbox One: Yeah, go for it. The Xbox One, like the Wii U and more recently the PS4, is now a console worth owning. A year ago, I both lauded and criticized Microsoft for their towering Xbox One ambitions. Here was a device not meant to merely be a gaming console. Rather, it was intended as the one mighty box to unite and rule over all of our living room. With the press of a button or a word from our voice, the Xbox One would effortlessly flip between games, TV shows, movies, sports programming, and Skype chats. The problem, at the time, was that too many of the console's most-hyped functions didn't work like they were supposed to. Each small frustration or minor incompatibility exposed another weak spot in the great beast's armor, and any one of them could be reason enough for a user to remove the Xbox One from the center of their operation and plug it in like any other gaming device. The Xbox One didn't actually function as the revolutionary convergence device that Microsoft so wanted it to be. It seemed more like a gaming console with delusions of grandeur, and it wasn't clear whether it was as good at fulfilling that core function as a gaming console ought to be. Last May, six months into the console's life, I felt less sure about it than ever. The Xbox One had lost its footing, I felt. Microsoft was in the midst of a course-change, and everything about their console reflected that. Thanks to the Kinect sensor array's own inconsistent performance, I now thought of the previously-bundled add-on as a gimmick. The operating system still felt like a work in progress. I'd stopped using the console's "snap" split-screen multitasking feature, which felt unresponsive and unnecessary. And the games… the games were stronger, but back in May, there still just weren't enough of them. Today, one year after it launched, The Xbox One still hasn't delivered the world-changing, unifying experience it promised to back when it was first announced. It has, however, made significant improvements as a video gaming device, and over the last couple of months in particular, my estimation of it has considerably improved. If the Xbox One of May was a console in flux, the Xbox One of November is a console that feels much more complete. Microsoft has spent much of 2014 repositioning the Xbox One as a pure gaming device. Along with that, one of the cool things about the console this year has been watching Microsoft gradually improve it by slowly and steadily upgrading their console's OS, and most of those improvements are designed specifically to improve the experience of using the thing to play games. Every month or two, there's a new Xbox One software update, first issued across a contained number of users signed up for a preview program, and eventually pushed out to all users. This approach has served Microsoft well, allowing them to thoroughly test the stability of each update and make sure that users aren't inconvenienced. Several software features that were missing at launch, like the ability to output 5.1 audio to a gaming headset, better storage management, and the freedom to mute the volume on a snapped app, have been added. The recent October update, in particular, brought with it a number of welcome improvements. The October update made it much easier to flip between multitasking apps, accessing the built-in DVR functionality or Achievement-monitoring tools without needing to yell at your Kinect. It also (finally!) added full DLNA streaming support, making it possible to use your Xbox One as a fully-fledged streaming media station. Granted, DLNA support isn't exactly a new feature, but its inclusion in the October update was good news. Several of us at Kotaku have also recently fallen in love with a feature that isn't brand-new to the Xbox One: The ability to put the console to sleep with a game running, boot it back up, and find that your game is still paused right where you left it, without needing to load. It's a small but lovely feature. The upshot of all of this: The Xbox One now has inner workings that feel almost as sturdy as its (still too-bulky) physical frame suggests. And, true to their game-centric E3 press conference this year, Microsoft has begun releasing a bunch of great games for their system. On top of all those improvements, this fall, Microsoft temporarily cut the console's price a second time, all the way down to $349. That price may only last through the holidays, but even the standard Kinect-less price of $399 is a big improvement over the console's $499 launch price (which was $100 more than the PS4's). It isn't too difficult to pinpoint where my feelings on the Xbox One flipped from frustration to fondness. It happened pretty recently, really: I was switching back and forth between the excellent racing game Forza Horizon 2 and the equally-excellent music game Disney Fantasia: Music Evolved. Here I was, playing games on my Xbox One, and having a great time. I looked through my game library and realized that there were even more games that I wanted to play, and took a moment to reflect on how content I was to use the console for the rest of the night. This year has been kind to the Xbox One's game library, particularly in its back half. The console has gotten unexpectedly terrific cross-platform games like Wolfenstein: The New Order and Middle-earth: Shadow of Mordor, the latter of which feels like a new-gen showcase that goes beyond pretty graphics. We've gotten a pair of great loot-happy action RPGs, in the form of the superb console port of Diablo III and Bungie's new unhealthy-relationship-simulator Destiny. That second one, Destiny, is a maddening, flawed, still-somehow-fun game that has attracted and maintained interest from more simultaneous Kotaku staff members, over a longer period of time, than any other game I can think of. In between larger games there has also been a smattering of smaller, more personal games, like the JRPG-influenced Child of Light or the time-warping, mind-warping Super Time Force. 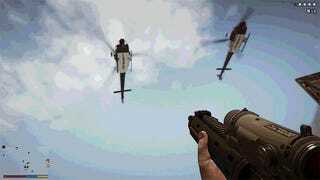 More recently, the Xbox One has gotten a superb, redone version of Grand Theft Auto V that, thanks to its slick new first-person mode, transforms how GTA looks and plays. It's gotten the terrific, surprisingly experimental horror game Alien: Isolation, which cheekily used the Kinect to let you peek your head around corners, the better to see the alien that was about to kill you. There's Call of Duty: Advanced Warfare, which not only has one of the most whiz-bang Call of Duty campaigns in recent memory, it also has digital Kevin Spacey. And just this week, the console got an exciting open-world action game in Far Cry 4 as well as the wonderful fantasy RPG Dragon Age: Inquisition, the latter of which eagerly steps up to become the console's first genuine role-playing epic. All of those games are easy contenders for our list of the best games on the system, which is now due for a healthy, exciting update. Pause. Something that cannot be left unsaid: I, and most of my colleagues at Kotaku, play the majority of those games on PlayStation 4 or PC, not on Xbox One. That complicates this article somewhat. However, I hesitate to think of the Kotaku staff as some sort of representative sampling of the tastes and tendencies of all gamers—after all, we get sent copies of a lot of these games for free, and our play habits are often dictated by whichever copy arrived first. Furthermore, while the fact does remain that the PS4 generally holds a small but notable power advantage over the Xbox One, these games still look great and run well on Xbox, and are as easy to recommend for Microsoft's box as they are for Sony's. This year, PC gamers have gotten delayed ports of several former Xbox One exclusives, including Ryse: Son of Rome and Dead Rising 3. But while it's certainly true that PC gamers will always have the broadest library and the best-looking games, the Xbox One's comparatively low price cannot be overlooked. All of which is to say that the Xbox One has become a potent, complete-feeling gaming device, independent of its various competitors. This fall has also given us a number of good Xbox-only games, each of which have greatly helped the console's library feel distinct. The aforementioned Forza: Horizon 2 (likely the most fun I've ever had with a racing game) and the Kinect-centric Disney Fantasia (likely the most fun I've ever had with a Kinect game) are both also available for the last-gen Xbox 360, but find their definitive versions on Xbox One. The open-world grind/shoot shenanigan-simulator Sunset Overdrive is a lot of fun, and while it initially turned us off a bit with its trying-too-hard tone, the game has won us over with its joyful gameplay. And finally, there's Halo: The Master Chief Collection, which is close (so close!) to being one of the most impressive works of video-game archiving we've ever seen….but it's not quite there yet. While the included campaigns of Halos 1-4 are still exhilarating to rip through on your own, the game's multiplayer remains a mess, full of connectivity issues and missing features. Microsoft is promising a big patch to address the game's problems, and given how crucial a functional Master Chief Collection is to their fall lineup, I'd be surprised if they failed to deliver. All the same, they haven't delivered yet. The Master Chief Collection could well become the Xbox One's current crown-jewel exclusive…if and when they patch it. While its strong game collection has made the Xbox One recommendable, plenty of other weak points remain. At this point, the Kinect camera has been relegated to the same status as its Xbox 360 predecessor—it is a curiosity, a tech-bauble that you can show to your friends but which doesn't have all that much utility beyond switching apps and pausing videos without setting down your pizza. The console still doesn't ask if you're sure you want to switch to a new game, meaning that the Kinect can still mishear you, immediately open a new game, and unceremoniously quit the one you were playing. The gameplay-recording software still needs an overhaul, and the console still desperately needs a screenshot function. And while the revised snap interface is easier to use, it still feels a bit like a feature in search of a compelling reason to exist. The hardware itself remains as much a of a mix as it has always been. The controller is generally an improvement from the Xbox 360 controller, but its thumbsticks still feel too tall and wobbly, at least to me. (Some people love it.) The sold-separately media remote still manages to significantly improve the console as a whole, and is the main reason that I still use my Xbox One as my primary streaming-media device. The Kinect camera is a big dumb eyesore atop your television, and there's no unobtrusive way to set one up so that it works. And while I still enjoy the chunky retro design of the console itself, it remains much too large. It seems almost certain that at some point in the near future Microsoft will introduce a smaller, sleeker Xbox One, and that announcement can't come soon enough. For a year, we've been telling you "not yet" on both of the new consoles. It wasn't quite time to upgrade. We always anticipated that that both verdicts would eventually become a "yes"—almost all game consoles become worth owning eventually. I wasn't expecting the Xbox One to come as far as it has in so short a time. If you'd asked me even as recently as August what I made of Microsoft's console, I would've told you to hold off. It's a testament to Microsoft's confident, consistent execution over these past three months that my estimation of their device has risen as much as it has. 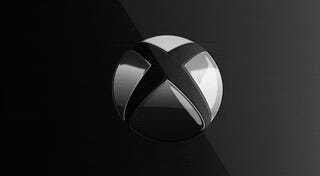 Is the Xbox One a worthwhile game console for those who have yet to make the move to the new generation of hardware? If you have been considering buying one, is it finally time to make the leap? My enthusiasm for the Xbox One is higher than it was one year ago, or indeed even three or four months ago. That's not saying much in and of itself, since my enthusiasm for the box hasn't been all that great for the majority of the last year. All the same, I'm happy to find myself using my Xbox One so often, primarily to do the thing that I've always wanted to do with it: Play games. The Xbox One has come a long way in a year, and is now worth your time and money. Get an Xbox One…unless you're deciding between it and a PS4, or are considering getting a gaming PC. If you're deciding between an Xbox One and a PS4, you should check out our comparison post about the two, since the choice between them is somewhat complicated. We'll be running that comparison later this week.